Home Gossip Hilarious: Rhodri Giggs pokes fun at Ryan’s affair with his wife. Hilarious: Rhodri Giggs pokes fun at Ryan’s affair with his wife. Rhodri Giggs stars in a hilarious “Loyalty’s dead” advertisement which you can watch over and over again. The brothers fell out in 2011 when the former Manchester United star’s secret eight-year affair with Rhodri’s wife was exposed. Now, the 41-year-old has cashed in on his personal turmoil in a provocative new advert for bookmaker Paddy Power. In the advert for the company’s new rewards scheme, Rhodri Giggs pokes fun at his brother, himself, his wife, and the scandal which ripped his family apart, in quite astonishing fashion. The advertisement starts as he introduces himself while talking on the phone, with his surname – Giggs. A moment later he says “No, Rhodri”, the less known Giggs. With his next line – “I’ve always supported my country”, Rhodri is suggesting he is not supporting Wales any more, as you can hear the commentator on the TV saying “Questions will be asked from the manager”. Guess what? Ryan Giggs is the manager of Wales’ national football team. A bit later in the advertisement, Rhodri drinks tea from a blue Manchester City mug. Of course, this is another hit at his brother, as Ryan is Manchester United all-time legend. He spent his entire career at Old Trafford and made record-breaking 963 appearances for United. Ryan won the Premier League 13 times and the Champions League twice as a Red Devil. Perhaps the most jaw-dropping moment comes when an actress playing Giggs’ wife tells him she’s going out to buy milk, as he reads a paper headlined “United legend REJECTED for dream job”. The Welsh wizard was appointed as interim Manchester United player-manager in 2014, after the sacking of David Moyes. 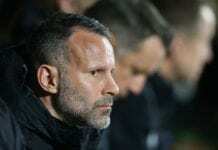 Giggs led the club in four Premier League games, but the board decided to bring Louis van Gaal and make Ryan his assistant. He was once again stood-up by United, as Jose Mourinho took over from van Gaal in 2016. 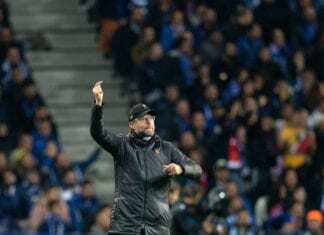 Mourinho has been sacked himself in December 2018, but Ole Gunnar Solskjaer was the choice of Manchester United’s board. There are further dry references to his brother’s betrayal – such as when Giggs is boxing in the gym and is told by his trainer ‘think of something that makes you angry’. Giggs’ reply: “Nothing comes to mind”. The Wales national manager said sorry to his brother weeks later for the betrayal, saying he “wasn’t thinking”, but Rhodri said the apology was just hollow words and they haven’t spoken since. At the end of the day, Rhodri Giggs is right for one thing – Loyalty really IS dead. Quiz: How deep is your knowledge about Ryan Giggs?